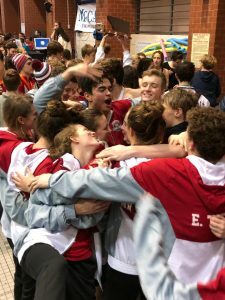 Congratulations to the MHS Rebels Swim Team for finishing 2nd at 2019 STATE MEET (1st overall, public schools.) This year, the girls placed 4th in the girls division (behind Hardin Valley, Harpeth Hall and Baylor) and the boys finished 2nd (behind McCallie.) These finishes combined for 2nd overall at STATE. Congratulations also to Ethan Hathcock, Heritage for finishing 3rd overall in the 500 Free and Emily Pye, Maryville Christian School for finishing 7th in the 100 Breaststroke. Swimming in all of Blount County has a bright future.